We are manufacturing of all type weigh metric load cell base bag filling machine. 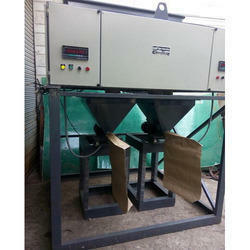 Machine filling bag as per customer requirements. 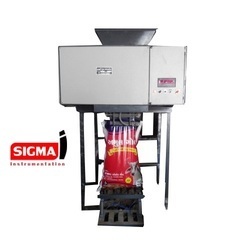 Client can avail from us a wide range of Chana Dal Packing Machine which is brought into the market as per their specific demands. It is installed to pack the chanadal into packages of different weights such as 25 kg, 50 kg, 10 kg and 5 kg. We engineered this product with premier-grade raw material in order to ensure its quality as per the international standards. Owing to its high efficiency and robust construction, offered product is highly suitable for the industrial applications. 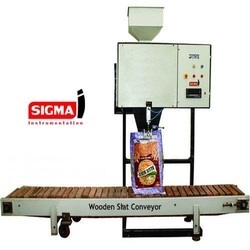 We are leading manufacturer of Bagging System, Bag weighing,stitching and packing conveying systems, Bagging Machine as per customer requirements. Our product is totally customized. 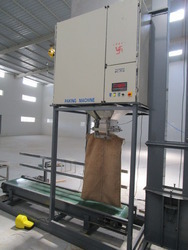 Uses of my Bagging System in Fertilizer Industry Crops Industry for packaging of Bags. 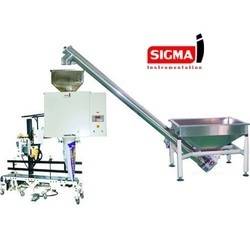 Our large product mix allows us to offer you a wide variety of online production Online Bagging Machine and weighing solutions offered from among the finest and most reputable manufacturers. That means that the advice you get from us and the solutions we design for you are not limited to just one brand or particular technology, whether you require a single piece of equipment or an entirely new bagging solution built to your custom specifications. Offering Granules Filling Machine "the state of art technology" for the most reliable & best performance quality assurance. Bi direction communication design (optional) allows indicator function to be pack. Our offered machine is manufactured using optimum quality materials and cutting-edge technology in adherence to the industry laid standards to ensure a defect-free range. 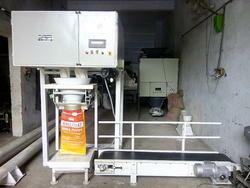 Our company has set benchmark in offering Augur Filling Machine to the clients. This product is widely appreciated by the clients due to robust structure, corrosion free and sturdy finish standards. Offered range is available in different customized designs and varied dimensions so that clients can choose as per their varying requirements. Augur Filling Machine is manufactured in accordance with the industry standards by making use of A1 best quality raw material and modern technology under the guidance of professionals. We are a well-reckoned organization involved in manufacturing, supplying commendable range of Spice Powder Packing Machine. 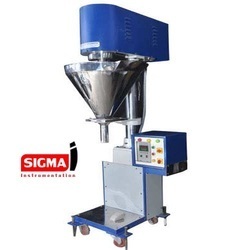 In order to engineer the offered products as per the clients' requirements, we designed this machine with premier-grade raw material sourced by our procuring agents from the leading vendors. We have established a world-class infrastructure in order to design this product as per the latest market demands. Machine pack only valve type bag. Bag filled material and no require of stitching mostly used cement,grout powder,dry mortar material powder and other this type powder packed. 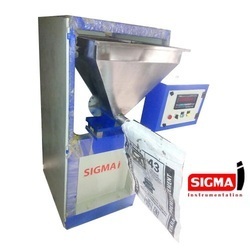 This Machine is also known as a Semi Automatic Bagging Machine. We are mfg of valve type and open mouth bag filling machine with good quality as per customer require machine suitable for grains, powder, ash, cement and fertilizer industry. We are the manufacturer bagging filling machine. 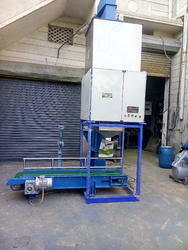 also semi automatic bagging machine,bag filling system.